Intensive outpatient programs (IOP) have emerged as a critical part of the treatment of substance use disorders and relapse prevention. With the increase in the amount of addiction-related deaths, there is a real need for more high-quality programs. But is now the right time for you to launch your own IOP? Let Ascension help you make that decision and guide you through the process. Ascension guides its clients and partners from the research and planning phase through opening the doors of your facility. With an accelerated development process, smooth opening and a solid operating model, we help you start making a significant positive impact on community health in your area. Have you hit a roadblock during the development of your IOP? We can help. During Phase Two, an appropriate business structure is established after careful consideration of local/state requirements. To ensure compliance obligations are satisfied, we will further investigate regulations and codes specific to your facility. We conduct a preliminary review of the state licensure application and guide the submission process. During this process communication with the state is key. Ascension has partnerships with leading industry firms for provider and facility credentialing, medical billing and contracting with provider network insurance companies. We will quarterback this effort to ensure timely completion at the most affordable cost. Ascension also has partnerships with leading industry firms specializing in logo design, branding and marketing services (website development, marketing strategy, SEO, PPC, social media, etc.). These partnerships equate to significantly reduced rates due to existing synergies and makes Ascension a one-stop-shop for full business startup support. Ascension will assist in licensure application and communicate with the state to keep them informed of development plans. Additional resources and guidance are also provided to support development of policies and procedures specific to licensure requirements of the state where the facility will be located, which will be required as part of the licensure application. This will go a long way to assist our clients in acquiring licensure in their state much faster and give an employee frame work that will accelerate the training process. We also provide additional assistance in the creation of job descriptions, organizational charts, disaster plans and all other items that are a required part of the application. Ascension utilizes our partnership with an industry leading medical billing and credentialing company to credential the facility and its providers as an IOP. We will assist you through this entire process and advise on the most appropriate payers to contract with, electronic medical records (EMR) software to use and establish medical billing practices. Through our partnership with this industry leading medical credentialing and billing firm, we are able to offer significant cost savings with this portion of the development, which can often times be one of the more significant costs. Ascension understands that addiction recovery is not a one size fits all approach, and we will be developing a program that provides a menu of evidence-based practice options to assist your program with becoming accredited. Ascension offers expertise and support to simplify and accelerate development of program materials, policy and procedure manuals and design of the patient’s daily schedule and curriculum. We have experience establishing Electronic Medical Records (EMR) systems and can help you with a recommendation based on the size and scope of the proposed IOP. Ascension offers material resources and best practices to guide in the development of policies and procedures manuals specific to licensure requirements of the state where the facility will be located. 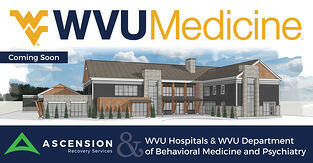 Ascension’s marketing partners offer logo design and marketing of residential treatment facilities to assist with the branding and marketing of the new program. We work with the logo designer and marketing agency to develop a brand and image consistent with the goals developed in the previous phases. Marketing efforts are led by the agency and guided by Ascension. Ascension assists in the creation of a website and marketing materials by providing a draft of mutually agreeable content for the website and marketing materials. The staffing model (determined in Phase Two) will be executed in Phase Three. Our team will guide you through best practices for staff recruiting, selection, interviewing and training. The IOP staff may be comprised of addiction specialists, psychiatrists, psychologists, clinicians or non-clinical staff to include chemical dependency technicians and volunteers. Staffing will be based on the determined treatment model and will be in accordance with applicable state code. As real estate selection evolves, space planning support ensures that the space meets the identified needs in the most efficient manner. A well thought out and designed facility provides an environment that promotes recovery while being efficient. Ascension will also assist in navigating zoning requirements and addressing public concerns, including guidance about public relations matters that typically arise when developing a project like this. Based on the financial analysis in Phase Two, the decision to lease or buy will be made. Should you wish to buy or build, Ascension offers property development and financing services through our partnership with a 30-year industry-leading commercial real estate development company. Ascension will assist in establishing a research component to the center to document evidence-based practices and outcomes. This research will be used to publish articles in popular media and journals, which will lend itself to the credibility of the center as a world-class treatment facility. Data and outcomes will be analyzed to ensure that your program is reaching its specific objectives and goals. The data we collect will also be used to justify further state and federal grant funding. Ascension usually stays on and consults to the owner for the initial period of operation and is then remains available as-needed. Developing an intensive outpatient program can provide many challenges. It can take months of planning to execute effectively, and mistakes or missteps can be costly. These mistakes can end up costing tens of thousands of dollars in lost revenue, and can even delay the launch of your program. From feasibility analysis and site selection, to program development and staffing, all the way through marketing planning and community relations, our team has the experience and capabilities to effectively launch your new endeavor to build a healthier community. Ready to launch an intensive outpatient program yourself? According to the National Center for Biotechnology Information (NCBI), intensive outpatient programs (IOPs) are an important part of the continuum of care for alcohol and drug use disorders. 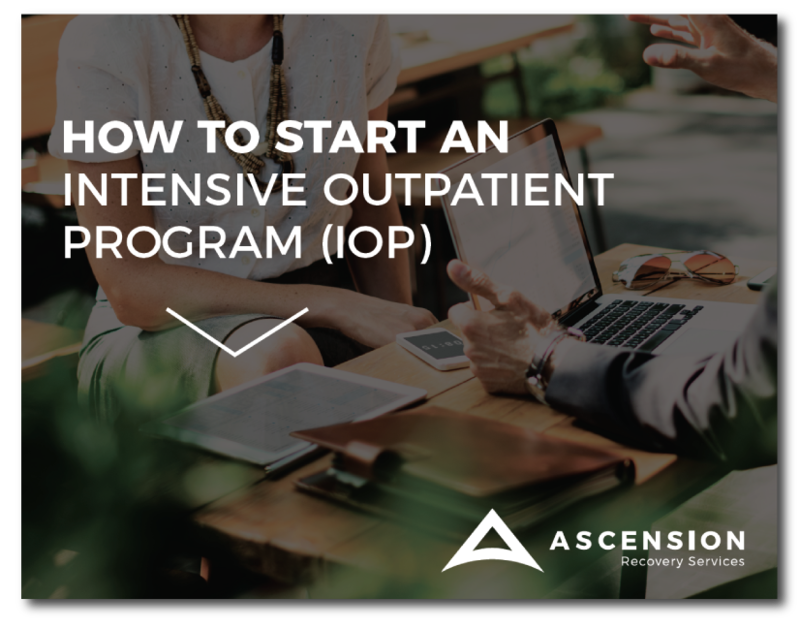 IOPs allow those who have gone through medical detoxification and who no longer need 24-hour supervision to get psycho-social support, facilitated relapse management and coping strategies, and individual symptoms and needs addressed. The value of intensive outpatient programs has been verified through a number of industry studies, and intensive outpatient programs are proven to substantially reduce alcohol and drug use of those who attend consistently. The value of intensive outpatient programs has been verified through a number of industry studies, and intensive outpatient programs are proven to substantially reduce alcohol and drug use of those who attend consistently. Drug overdoses are the leading cause of death to Americans ages 50 and under, and the trend has increased since the year 2000. The annual death rate from overdosing in 2016 was between 59,000 - 65,000 people, which surpassed the peek death rates in any year from the HIV epidemic or gun violence. 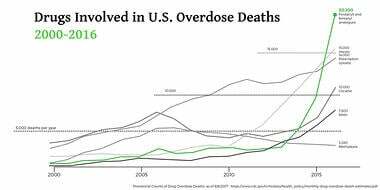 This is a disturbing but accurate look into the scale of the drug overdose epidemic in the U.S.. The need for more Intensive Outpatient Programs is real, and will be real for some time.